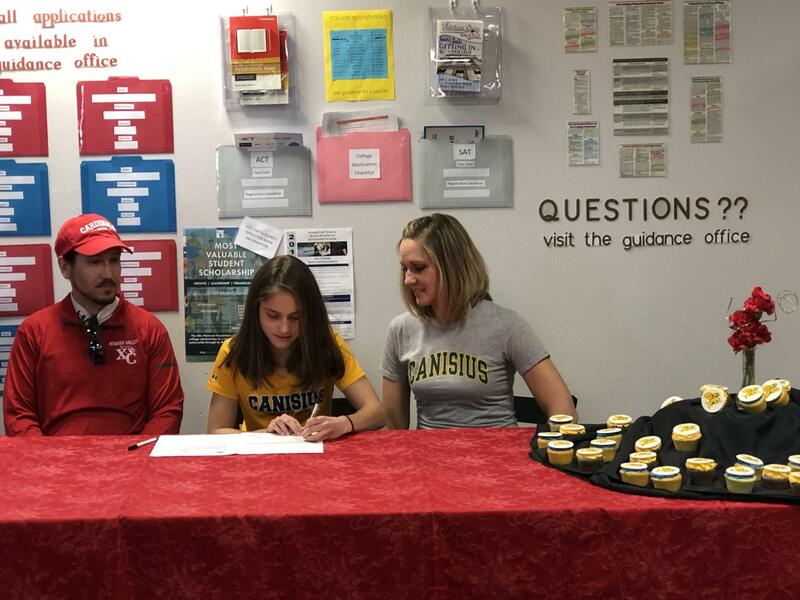 Newark Valley senior Marissa Silba has recently signed a national letter of intent to run Division I Track and Field for Canisius College. Silba said she is ready for the challenge of competing at a D1 college. Newark Valley Cross Country Coach Eric D'Arcy said he has no doubt she can meet the challenge. "She'll have no problem," he said. "She's pretty dedicated to running. That's one of her main focuses, that and academics." Silba was a 5-time Class C state qualified in cross country, placing in the top 20 three times in races which numbered more than 125 competitors each year. Silba hopes to be a prosthetist, a trained health care professional who designs and measures supportive devices called prosthesis.